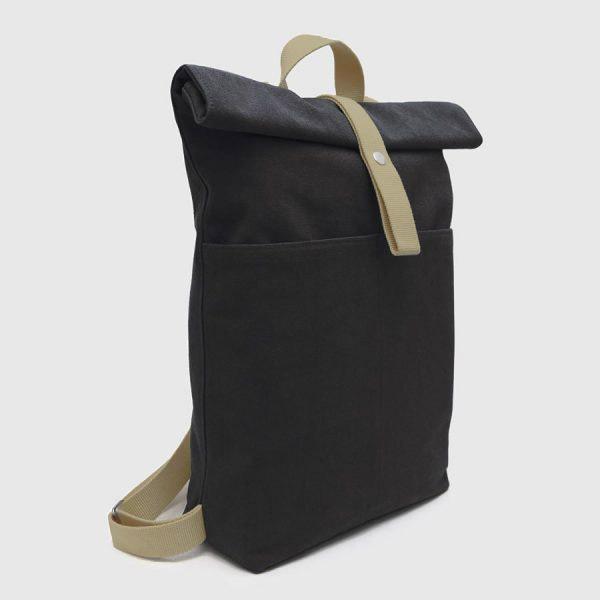 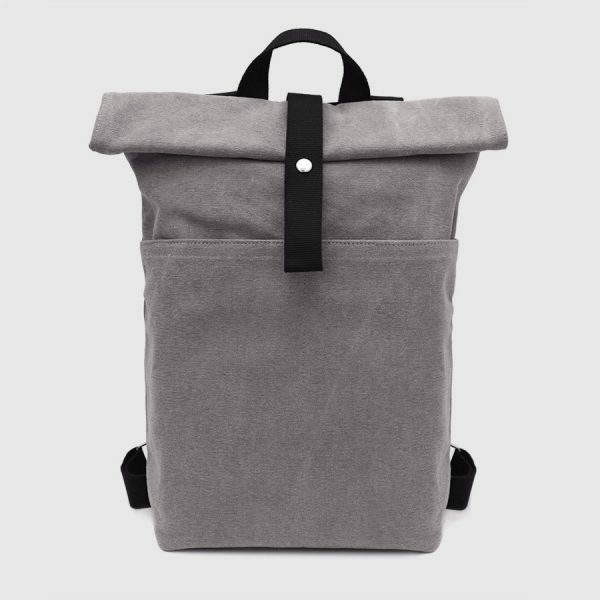 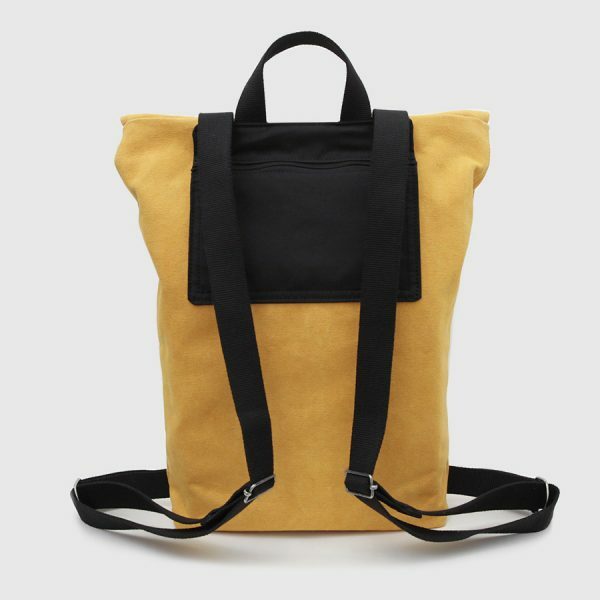 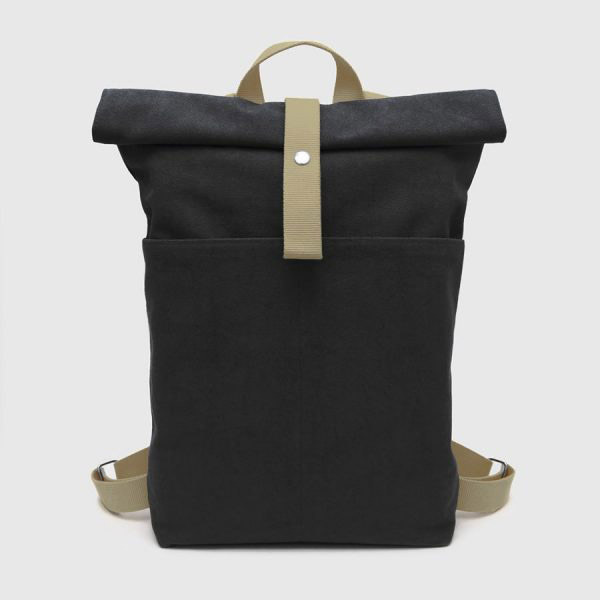 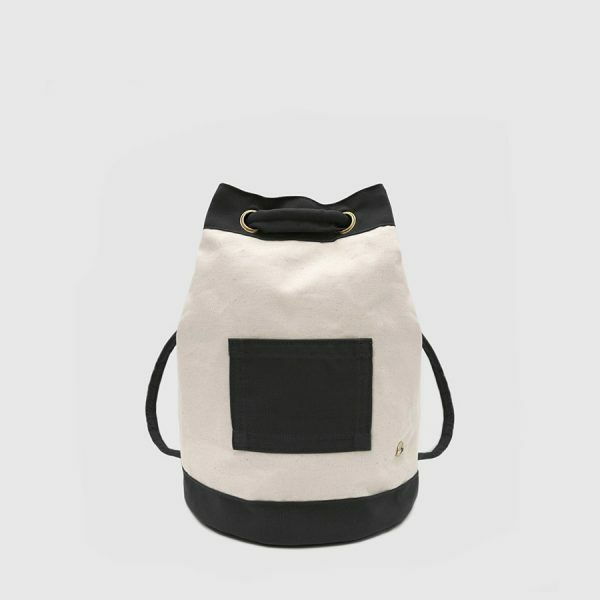 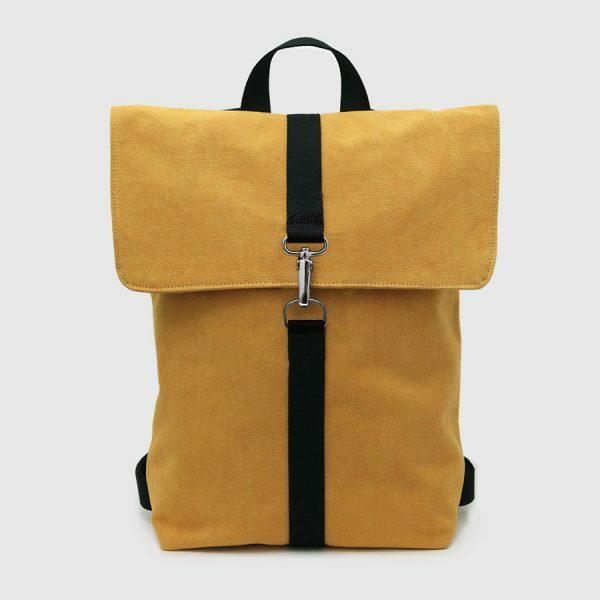 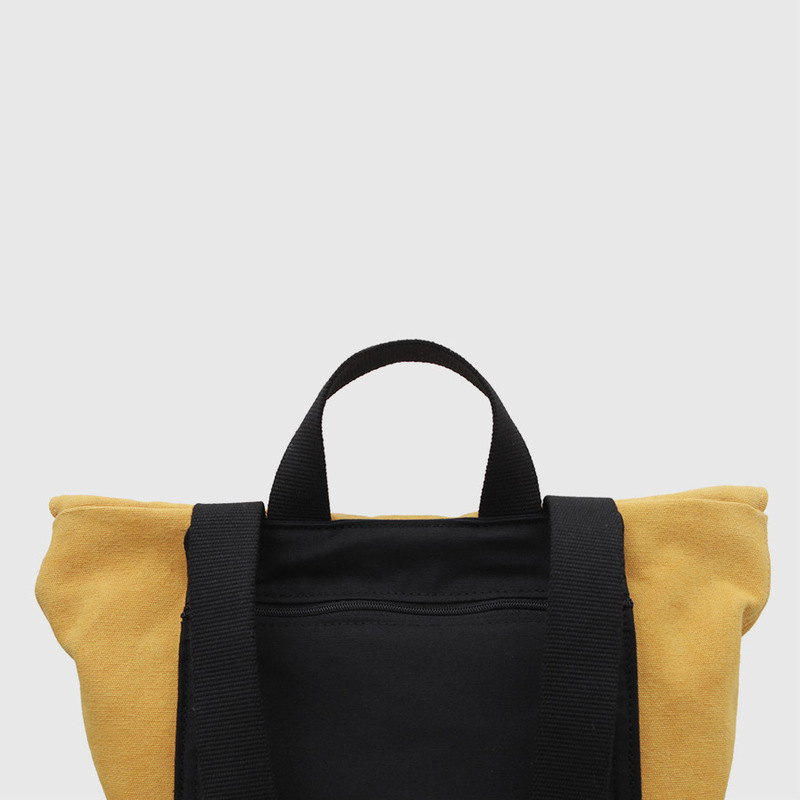 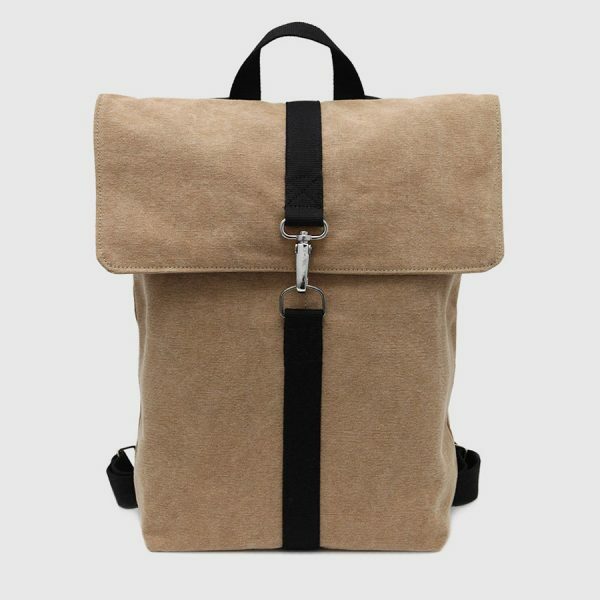 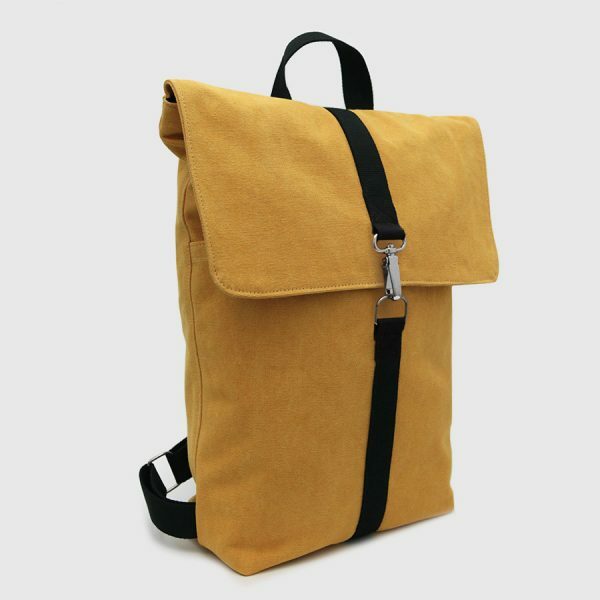 Black & brown canvas backpack with flap on top and safety carabiner. 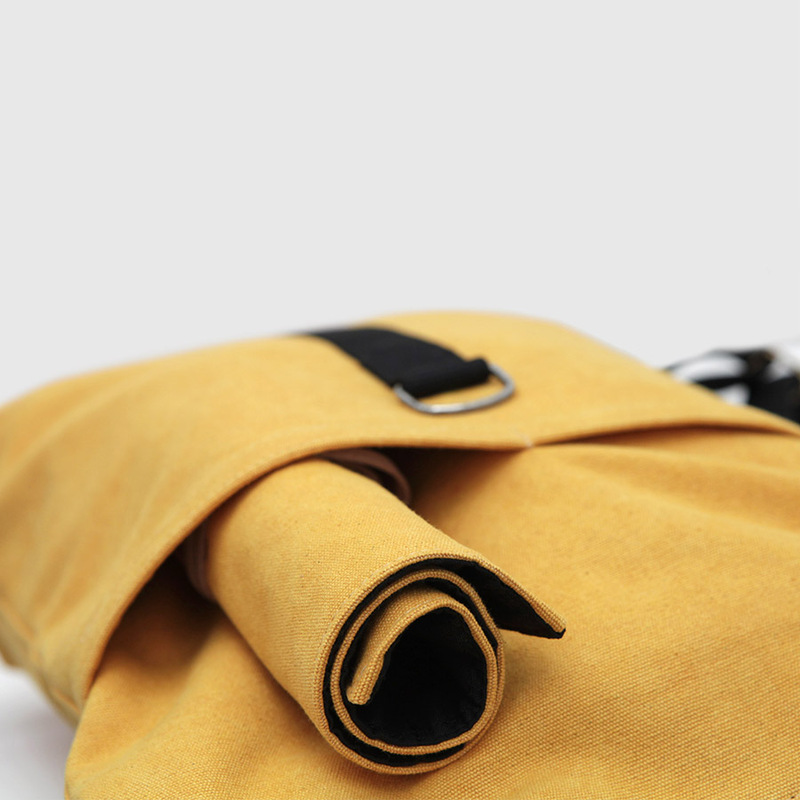 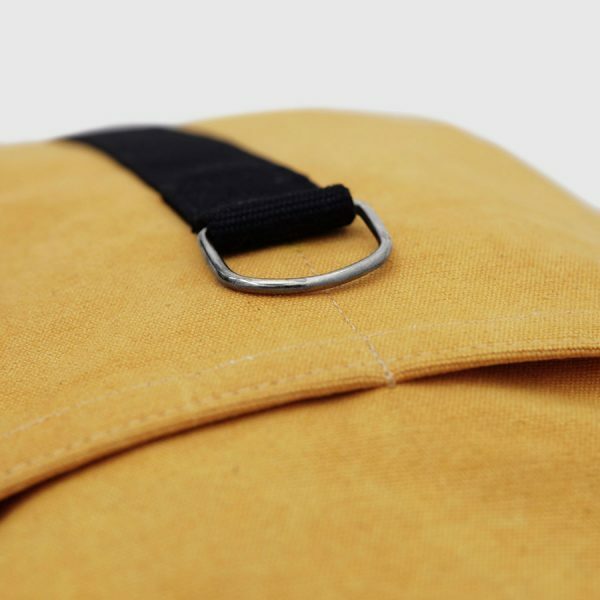 With an internal closure system by means of a high-grade (YKK) zipper with a gold finish. 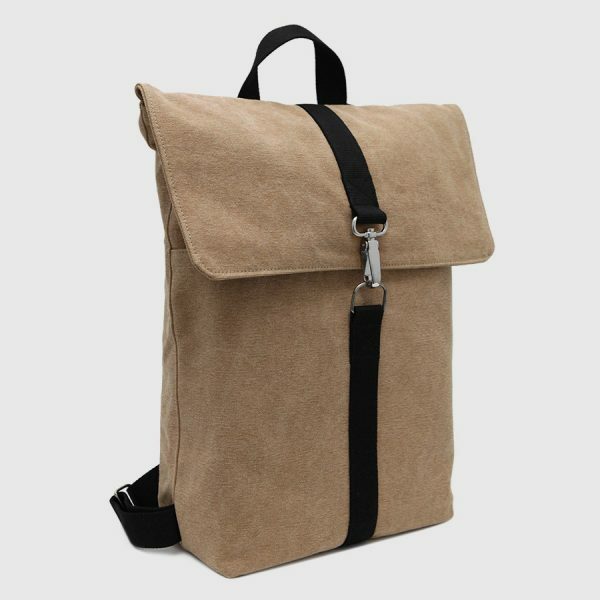 With adjustable handles brown by buckles. Interior of black canvas with 2 pockets. 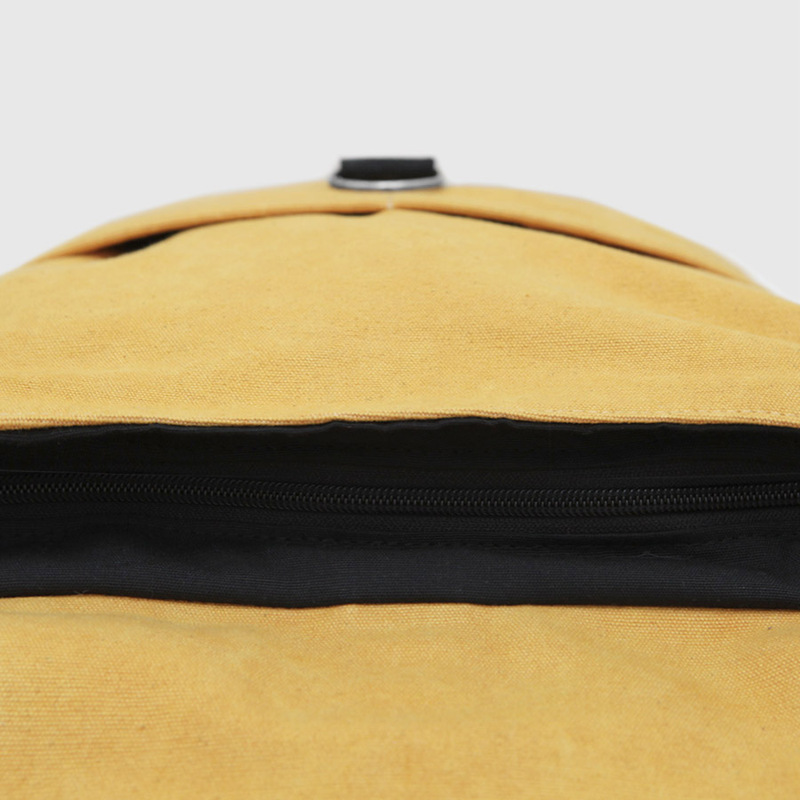 It includes two front pockets and a rear security pocket topped with a high-end zipper (YKK). 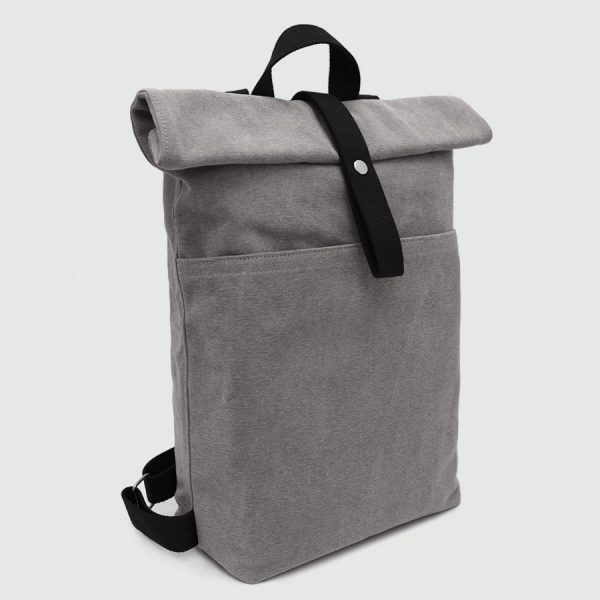 Ideal for storing valuables and documentation.